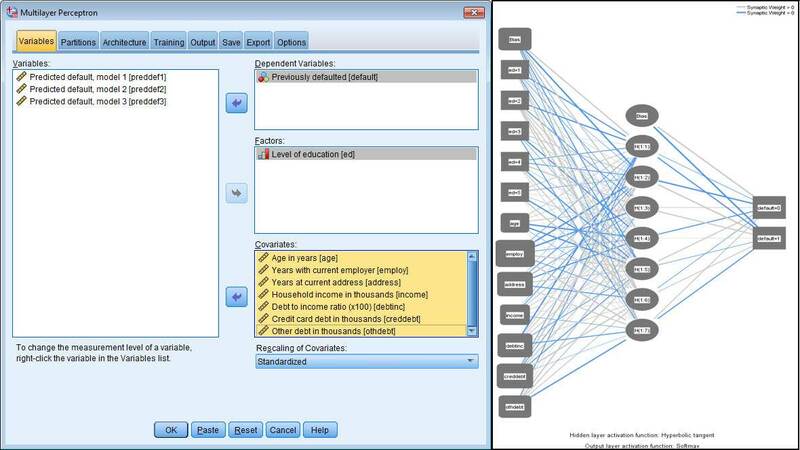 IBM SPSS Neural Networks uses nonlinear data modeling to discover complex relationships and derive greater value from your data. 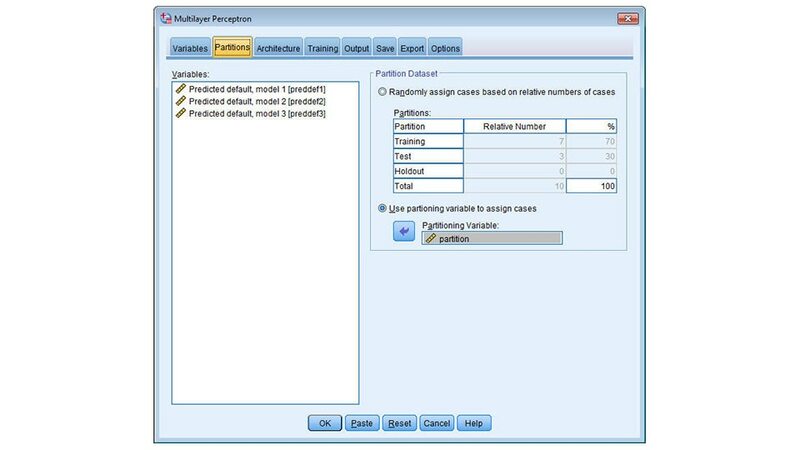 Use the familiar IBM SPSS Statistics interface to take advantage of multilayer perceptron (MLP) or radial basis function (RBF) procedures. You set the conditions—control the training stopping rules and network architecture or let the procedure choose. You don’t have to do any programming. Influence the weighting of variables. Specify details of the network architecture. Select the type of model training. Share results with others with graphs and charts. Choose MLP for finding more relationships or RBF for speed—both operate on a training set of data and then apply that knowledge to the entire data set and to any new data. Specify dependent variables—scale, categorical or a combination. Adjust by choosing how to partition the data set, which architecture and what computation resources to apply. 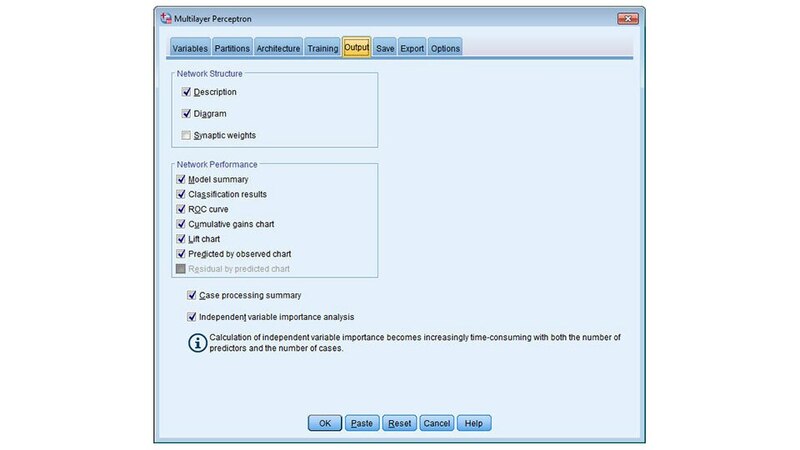 Combine with other statistical procedures or techniques and confirm results with traditional statistical techniques using IBM SPSS Statistics Base.